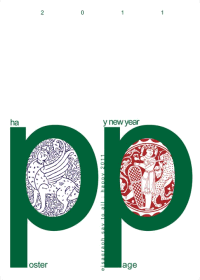 One of the first pages on posters on the internet, this site has been running continuously since August 21, 1997, and under its own domain name www.posterpage.ch since August 5, 2000. The page was initially planned to show posters from my own collection to the public, but the site quickly transformed into an international newsletter that is read by graphic designers, students, museum people, poster dealers and fellow collectors in 90 countries, and reports on all kinds of poster activities that come to my attention. 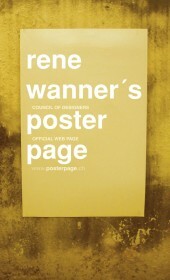 Rene Wanner's Poster Page currently draws an average of about 600 unique visitors a day, and the front page has received a total of more than 1.5 Mio visitors so far. During the past year, about 20 million pages and pictures have been looked at, representing a total of about 280 Gigabytes of web traffic. Apart from providing content, I also do all the programming, scanning, image processing and photography myself, using a simple text editor to write plain html code, an old shareware graphics program (Paintshop Pro 4.14), and a shareware uploader (ws_ftp95 le) to send the pages to my provider ( www.hostpoint.ch ). For hardware, I use a PC (no Macs here! ), a simple Epson scanner, and a DSL connection. The 2100 pages now take up 800 Mbytes disk space. I am presently upgrading to a bigger machine that I bought at Lidl, a discount food chain in Germany. Costs for web hosting, domain name registration, and communication are about 600 Euro / year, a tiny fraction of the total costs of the page that would have to include manpower, travel expenses, hardware and software amortization, and office overhead. 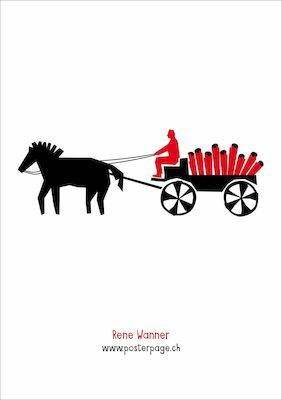 I appreciate feedback: If you like, or don't like, something on Rene Wanner's Poster Page, if you have suggestions for additional topics, if a link is dead, if something I write is wrong, if you hear about a competition or exhibition or new book, or about the death of a designer, please . 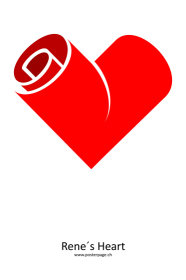 This page would not be possible without the spiritual and material support of a large number of people from all over the world who have contributed their time, advice, information, posters, books, catalogues, encouragement and hospitality. Please continue if you would like to keep this page alive. Photo by Finn Nygaard, 2013 I grew up in Zuerich and studied in Switzerland, Canada, the United States and Germany, finishing with a PhD in experimental physics. During my professional life I have worked in pure and applied science, the army, in marketing research, crop protection, strategic business planning, database management and other projects too numerous to mention, none of them having anything to do with posters or graphic design. Although I covered the walls of my room with posters in my early youth already (to the despair of my dear mother), I only began to collect them - as a hobby - in large numbers in 1977 during a business trip, like one of my idols Fred Schneckenburger. The story of my life as poster collector is the subject of my first web poster exhibition, which also shows the type of works that I collect. I consider Rene Wanner's Poster Page a very personal form of expression, and therefore many private details are distributed throughout the pages, for example in a web exhibition that describes a typical collecting trip to Poland, my relation with Jan Mlodozeniec and Franciszek Starowieyski, a meeting with the Faldin family in St. Petersburg, or Aleksander Chantsev, Iurii Bokser and Igor Maistrovskii in Moscow. Occasionally, the police tries to participate in my poster trips. 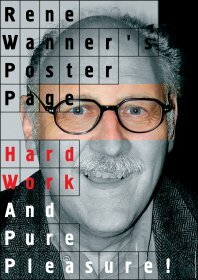 Since September 1997, I am in so-called early retirement (not quite voluntary), and spend my time on Rene Wanner's Poster Page and various other poster activities, but I am neither a poster dealer, graphic designer, art historian nor journalist and run this page for fun, and at my own expense, so far. I had the honor to be a jury member in international poster competitions in Kharkov (UA), Moscow (RU), Tehran (IR), Hangzhou (CN), Paris (FR), Skopje (MK), La Paz (BO), Heidelberg (DE) and in many international online competitions. In addition to collecting posters, both in printed and in digital form, I also collect information on posters and their designers for a Poster Bibliography, an activity that brought me in contact with many poster centers and libraries and specialists and designers throughout the world. I live in a small town close to Basel, Switzerland, and my hobbies include the internet, computers, photography, travel, books and posters, as you may have guessed. What's this poster worth ? Is it an original or a reprint or a reproduction or a fake ? Where can I buy a poster of a green whatchamacallit ? Can you help me to sell my posters ? I am a poster designer and a fan wants to buy my posters. How much should I ask ? Who pays for this page ? Where do you get all the information from ? 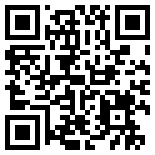 Can you make a link to my page ? Can you include my email address on your list? Can you show my poster on your page ? Can you change a poster, or phone number, or portrait on an old web page? How can I access the information in the Poster Bibliography ? When will the Poster Bibliography be published ? I am not a dealer, and cannot help you with this question. Also, appraising is a professional activity, has legal implications, and the advice is usually not free. How could you find out yourself ? For movie posters there is Jon Warren's movie poster price guide, John Kisch's Poster Price Almanac in online and book form, Bill Weiland's Movie Poster On-line Price Survey, Stanislas Choko's book on french movie poster prices, and finally Bruce Hershenson's excellent FAQ with more comments on movie poster prices, and price guides. Is it an original or a reprint or a reproduction or a fake? Only an expert can tell, and even they are sometimes fooled. They look for paper condition and print quality, printer's marks and numbers, picture and paper size. An expert is usually familiar with the characteristics of known reprints, like off-colors	or print method. Sometimes only a direct comparison with a undisputed original can tell. What makes it even more complicated is that originals are sometimes printed on different stock of paper, with or without or with different lettering, or the color may change during the print process, purposely or by accident. Where can I buy a poster of a green whatchamacallit? 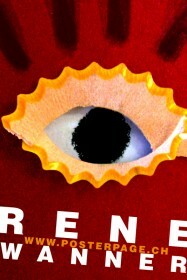 If your fan's name is Rene then give it to him for free, you make him happy and it may even wind up some day on his web page. For all others you could consider the prices that top people like Niklaus Troxler or Milton Glaser or Henning Wagenbreth are asking. If a dealer buys it from you, you will soon after find it in his shop or auction for a multiple of what he paid you. That's life and he wants to eat too. I am Rene Wanner, a poster fan and private poster collector. 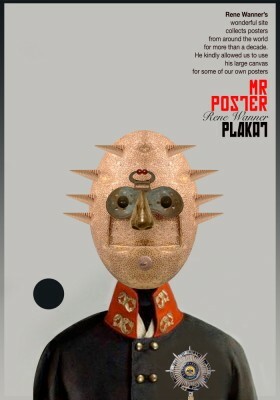 I am a poster collector: If you like what I am doing please send me posters, or poster books. I am also collecting digital images of posters. From my friends and readers like you. And I surf a lot. Yes. 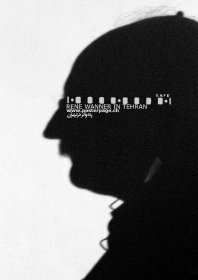 I always check if the link would be useful to the readers of Rene Wanner's Poster Page, and that the page is up and works. Flash pages that take longer to load than my attention span might have a problem. 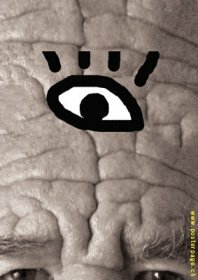 I would appreciate a reciprocal link on your page, and a catalogue, if you are a poster dealer, or a poster, if you are a designer. Yes; again, it should be useful to others on the list. Can you show my posters on your page ? Maybe. When it comes to posters, I am too easily excited, and I regret that I have promised web poster exhibitions to more designers than I can ever make, and so there is a long waiting line. Unless I get excited about your poster. In any case, I would expect to receive a paper copy of the posters, see this news item for more details. Can you change a poster, or phone number, or portrait on an old web page ? 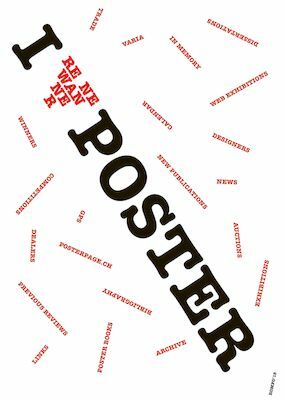 Posterpage is a historic document that preserves what happend in the poster world since 1997, but also reflects changes in web technology, cameras, social websites and so on. My changing poster preferences and web skills also influence it. Each page shows the date of creation or last change. Posterpage currently has about 30'000 objects (texts, pictures, links). The average lifetime of a link is about 3 months, because many web designers just delete or move what is no longer current. I prefer to keep everything like it was when I entered it to underline the documentary character of Posterpage. I also hope you understand that I lack the time to keep all old pages and links up to date. Obvious mistakes when I make a page do happen, and are still fixed on request. 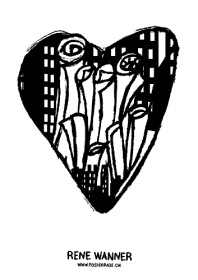 The database is not publicly accessible, and I do not give it away for free, considering that I worked on it for about 30 years without any outside support. Please if you have a specific request. As soon as I find a publisher. 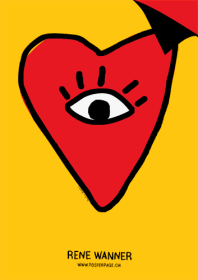 In December 2013, Susana Machicao organized an international invitational poster exhibition as an accompanying event to the The Bienniale of Poster Bolivia BICeB� with the title "Tribute to Rene Wanner. 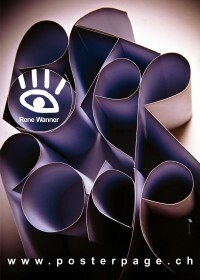 Tributo a Rene Wanner Sr Cartel" at the National Museum of Art in La Paz, Bolivia. I am deeply honored and moved by this unique expression of sympathy for our common cause. The 76 posters are shown on a pinwall on Pinterest.